Jan 17th, 2018 and CA IPCC Results Nov 2017 will be announced on Feb 2018. Participated Students can also check online CA CPT Dec 2017 Result through direct Official Notice link given on this page. 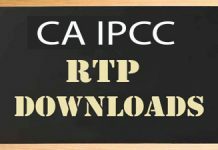 Students can download CPT marks sheet pdf file. Latest Update: According to official information, CA CPT December 2017 Results will be announced Today (Jan 17, 2018) around 8:00 pm on the ICAI official website @ icaiexam.icai.org. So all CA CPT Students check your Result details on the official site, the website might work slow or even crash due to heavy traffic. So keep calm and check the website again later for their results. Candidates can follow the below mentioned steps to check CA CPT Results. 2 How to Check Your CA CPT Results? 3 What about Pass Marks and Distinction? The Institute of Chartered Accountants of India (ICAI) will declare the result of the Chartered Accountants Common Proficiency Test (CPT) Examination held in Dec 2017 on Jan 17th, 2018. 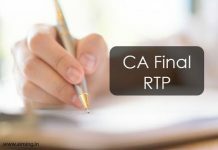 The ICAI CA CPT Result is now available at icai.org (or) icai.nic.in. The CPT results can be accessed by filling in roll and registration numbers on the official website. 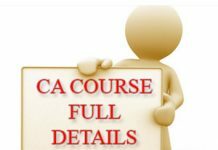 From here you can come to know and easy ways to check CA CPT Nov 2017 Result to check for ICAI CPT Result. After the result declaration, candidates can check their qualifying status and marks as well. How to Check Your CA CPT Results? Visit the official website or open the below links and follow the instructions to check your results. 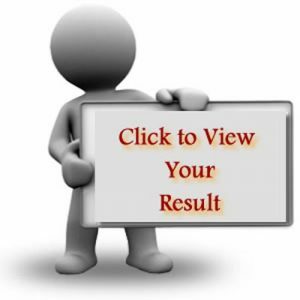 Visit the official website and fill the form to get results. The form consists of Roll number, Pin/Registration number. Fill those details and enter the secutiry code provided below and click check results button. That’s it. 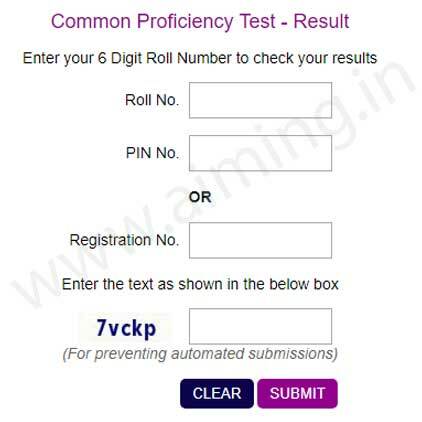 You need to have your CPT roll number, pin/registration number to check results online. Alternatively, you can check your exam results on local ICAI branch offices. What about Pass Marks and Distinction? You need to get at least 30% marks in every subject and 50% aggregate to qualify for this examination. 70% and more will be treated as Distinction and that will be mentioned on the result card. 70% marks mean distinction and mentioned on result card. The announcement of toppers list is not possible because ICAI discontinued that from DEC 2015. So top 3 rankers list is not released. But ICAI will release the merit list of Top 100 candidates names with their roll numbers. All students can also get their ICAI CA CPT Nov 2017 Exam Result on mobile through SMS. You just need to type CACPT followed by their six-digit Roll Number and do send an SMS to 58888. The Institute of Chartered Accountants of India (ICAI) will release the CA CPT Result Card 2017 for all qualified students within 15 days from the result declaration. Candidates will get their CA CPT Result Mark sheet 2018 in online mode through the official web portal.